Add a stereo Aux track into your DAW session. (The Monitor plug-in only works with stereo tracks). Insert the Revoice Pro Monitor plug-in into the track as shown below in the example for Pro Tools. 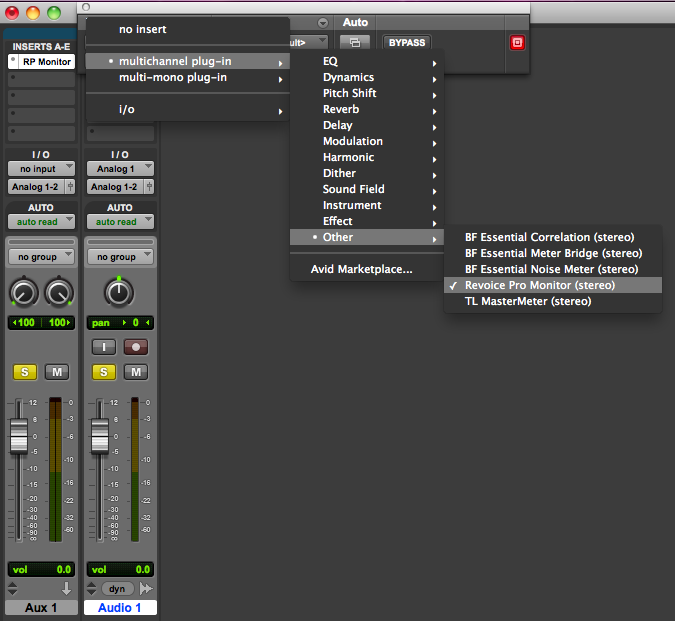 The Revoice Pro Monitor plug-in (as shown for Pro Tools below) has no controls. If you switch this Monitor switch OFF, then the output will be sent to the directly connected device set up as the Audio Output. 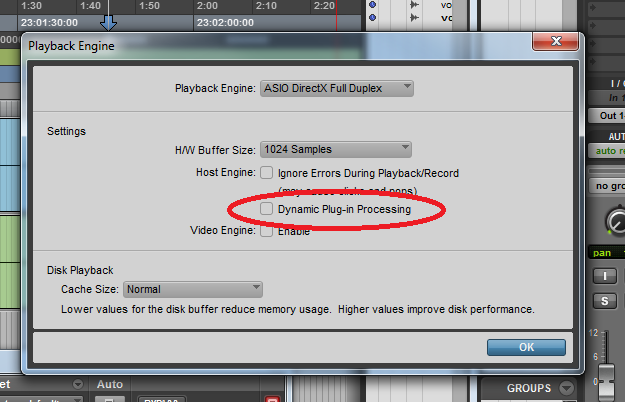 PRO TOOLS 11 WARNING: In Pro Tools 11 you must disable (untick) Dynamic Plug-In Processing in the Playback Engine window shown below. Otherwise, Pro Tools will stop getting audio from the plug-in after a period of silence.